Wates Construction and commercial property developer Salmon Harvester Properties have celebrated the progress being made at 3 Glass Wharf, one of the most significant office developments in the South West. Salmon’s 3 Glass Wharf is located at Bristol‘s Temple Quarter Enterprise Zone, and will comprise 15,000 sq m. of Cat A Office space, which will be occupied by HM Revenue & Customs (HMRC) as part of its regional centres programme. The project for Legal & General is being undertaken by Wates over a 100-week build programme with completion expected towards the end of 2018, and includes speculative retail space to the ground floor and basement car parking. Wates also built the neighbouring 2 Glass Wharf development, which was handed over to Salmon in 2016, with current tenants including PwC, Grant Thornton, Foot Anstey LLP and Arcadis Group. Wates, Salmon and HMRC welcomed guests on site to witness a topping out ceremony, and to demonstrate the progress that has been made to date during the build. Guests included HMRC staff who will occupy the building when complete, as well as members of the wider supply chain. As well as 3 Glass Wharf, Wates is also currently building the Leeds Government Hub at Welllington place, which will include HMRC’s Leeds regional centre. 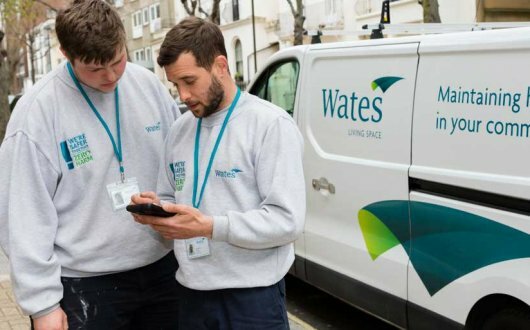 Wates believes that business should be a force for good and is underpinning this ethos in Bristol, investing £14,839.10 into social enterprises on this project so far, with a further projected spend of £10,000.00 by its completion. All sub-contractors appointed by Wates to work on the project have been procured within a 30-mile radius of the site. Our team in the South West has built on our already strong relationship with Salmon to ensure 3 Glass Wharf will be a building, which meets HMRC’s long-term vision for their regional centres strategy. We selected Wates as our main Contractor on 3 Glass Wharf because of the excellent working relationship we established on 2 Glass Wharf. Programme and quality are as always key issues but particularly so here where HMRC have a strict timetable in which to achieve its comprehensive UK wide estates transformation programme on future locations.